There is something extra sweet about this book. 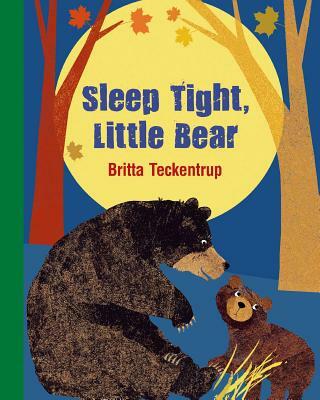 Let your little one say good night with Little Bear and his forest friends as they prepare for their winter’s sleep. Snuggles, and kisses, and hugs…oh my! It's cold in the woods, and it's time for Little Bear to start his winter sleep. But not before he says good night to all of his special forest friends--badger, deer, rabbit, mouse, fox, owl, squirrel, and wolf. Now Little Bear can happily fall asleep in his warm and cozy den all snuggled up to his mother . . . knowing that his friends will watch out for him during his long winter's sleep. "With its dark, autumn palette of colors and ritual sleep preparations, "Sleep Tight, Little Bear" is both an ideal bedtime story and a nature exploration for young children. "- Midwest Book Review.